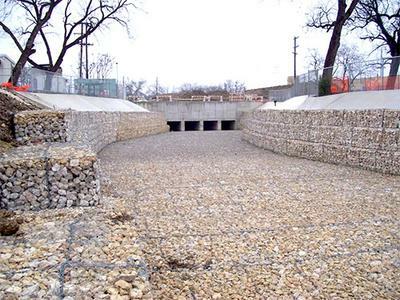 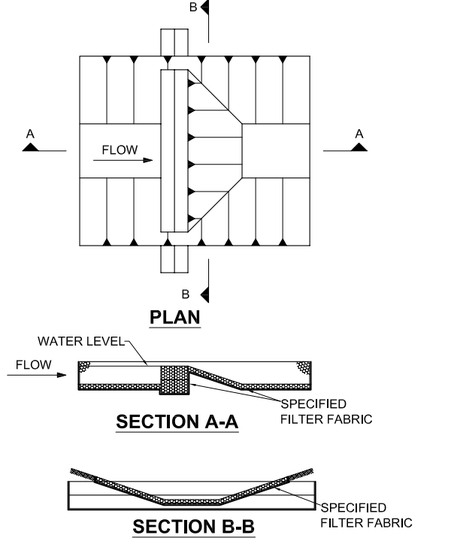 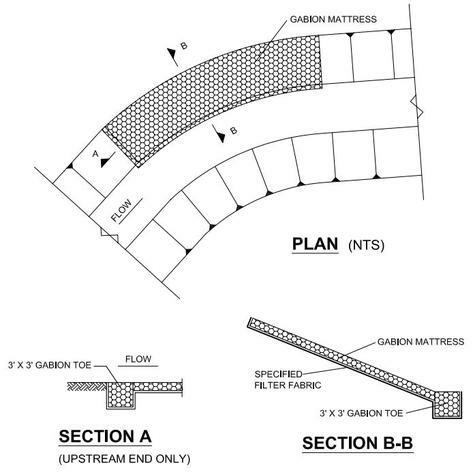 Gabions are the frequent choice of engineers for channel lining design solutions since they provide economical construction for embankment stability, scour protection ... ensuring long term functional and structural integrity. 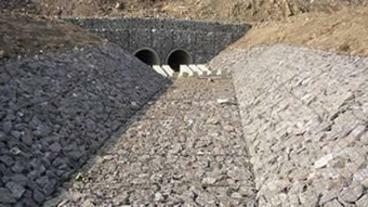 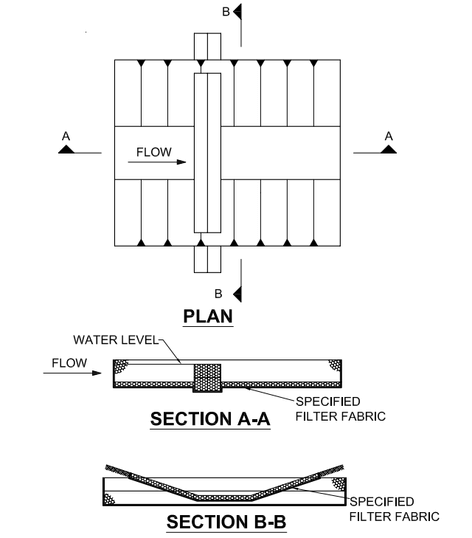 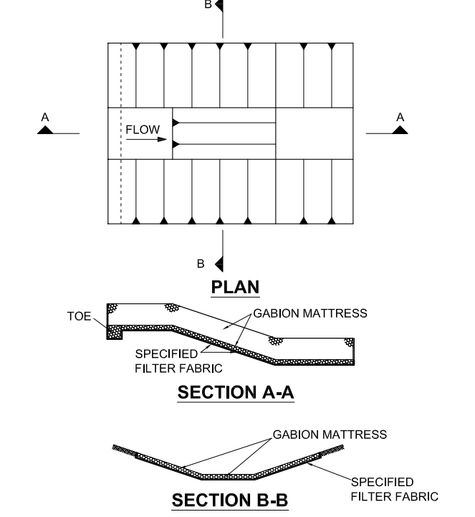 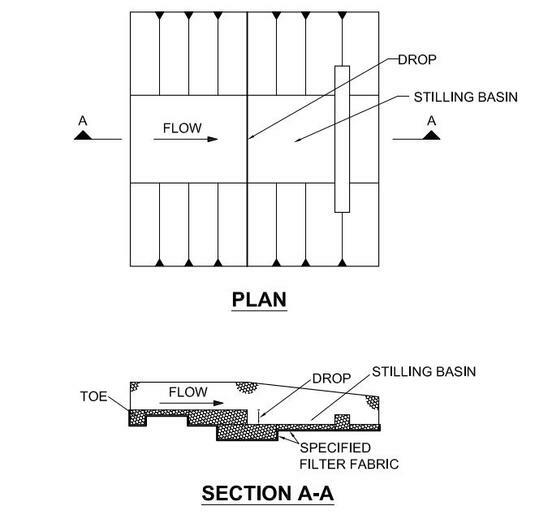 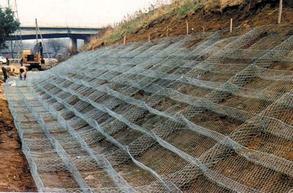 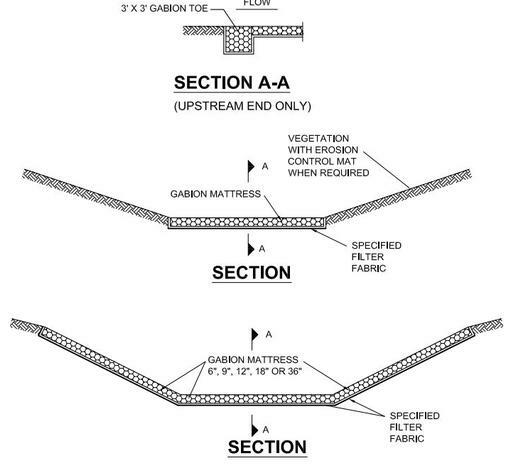 Gabions constructed of welded or twisted wire are the common materials used for lining channels. 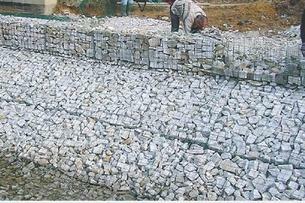 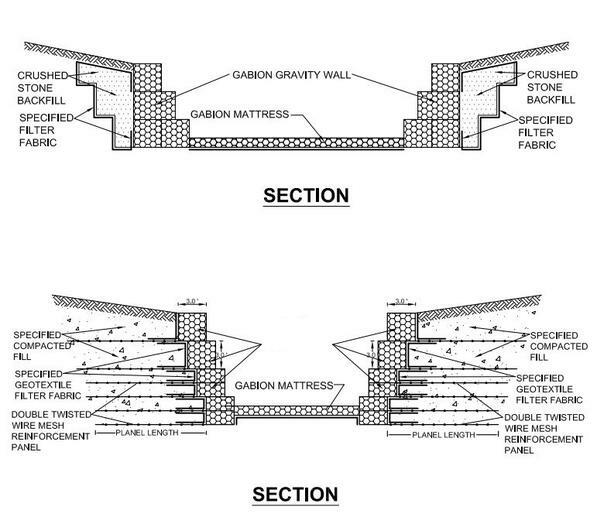 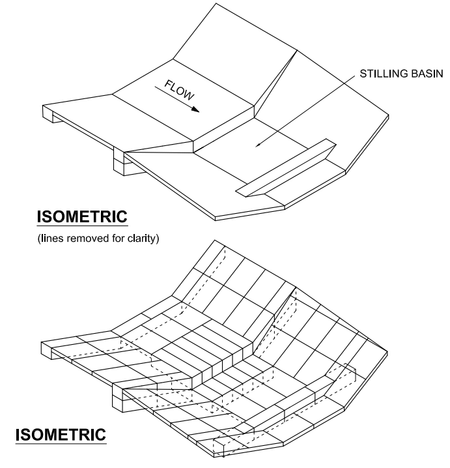 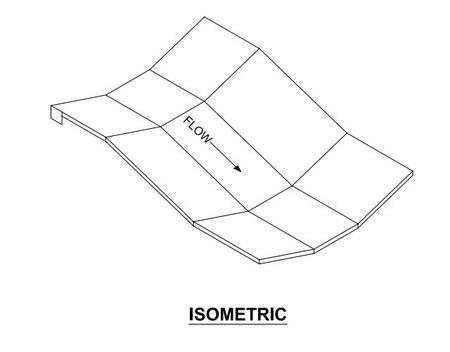 Vertical wall channels utilize rectangular shaped gabion baskets for the side walls and gabion mattresses for the channel bottom.